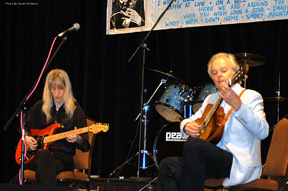 Mason performed last fall with Northwest guitarist, Craig Einhorn. 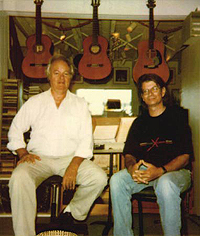 Mason also played on Craig's album, OBRAS. You can find out more about Craig at www.efn.org/~einhorn/. 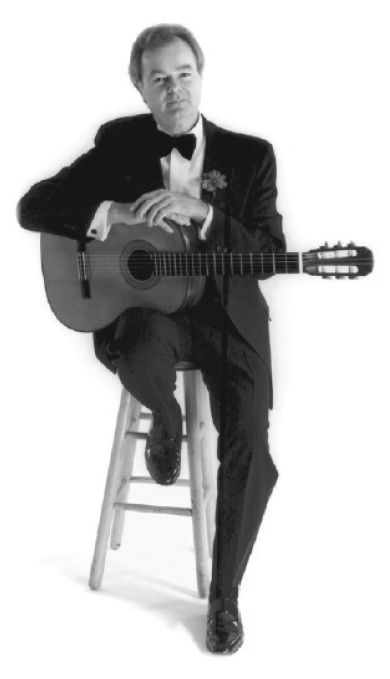 Classical Guitarist Craig Einhorn has a CD titled, "Obras." For the past few years Craig Einhorn has been collaborating with Mason, who is featured as a special guest performer and composer on the album. In addition he has performed instrumental compositions by Mason Williams with several orchestras. John Doan is one of the few masters of the rare twenty-string harp guitar, has performed with a diverse range of artists including pop star Donovan, folk legend Burl Ives, jazz ace Larry Carlton, as a member of the New Christy Minstrels with Randy Sparks, among others and his virtuoso playing and arranging has attracted praise from no less a guitar luminary than Chet Atkins. John did Mason the honor of performing at his wedding to Karen Dunlop. He is a wonderful musician and a good friend of Mason's. For more on John, visit www.johndoan.com.